Our new weekly members draw started off with a bang! Winners at 3 racetracks with Dyslexic, Dance Music and Cosmic Force all saluting at nice odds. 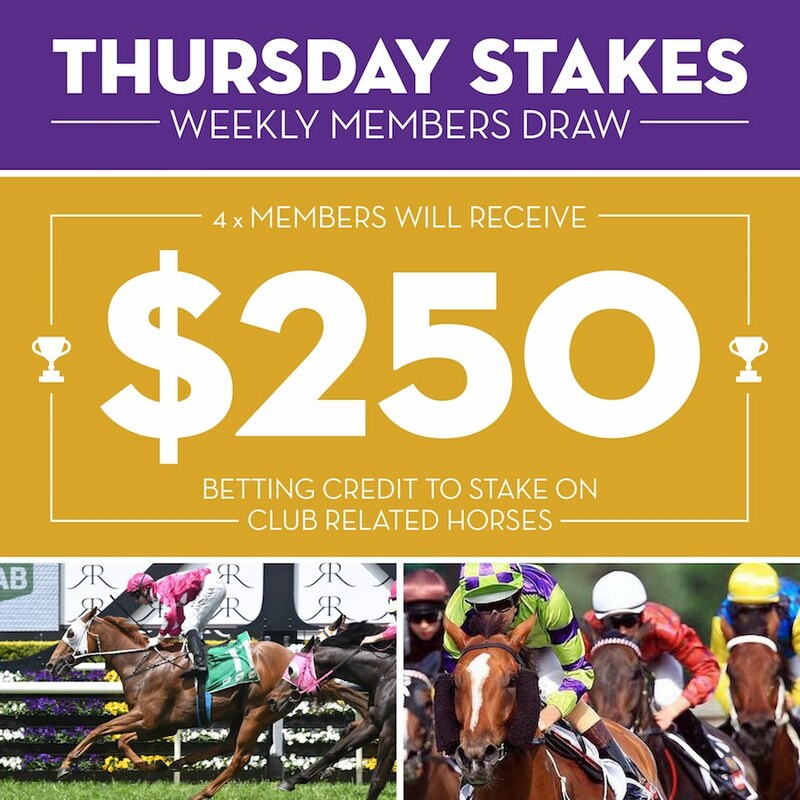 All four lucky members had a winning result and member Jamie Hehir was particularly pleased with 3 bets for 3 wins and immediately rewarded himself by signing up as a Gold Member. Everyone finished well in front with wins of $975, $960, $560 and $536. Gordon Furner: $125 each way on Into The Abyss Race 3 at Sandown. Best of luck with your bets & don’t forget to follow them also! A very quiet weekend of racing coming up this weekend for Kingstar related horses, but we still may get a Stakes winner with a favoured runner in a listed fillies race at Sandown. 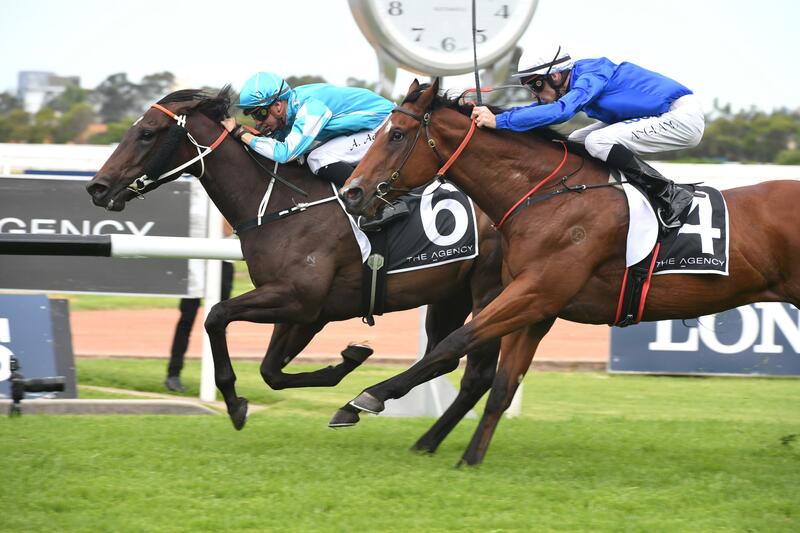 She has been unlucky at her last two starts on the big race days during the carnival. In-form jockey Damian Lane takes the ride again and although a wide barrier in 13, she remains a solid each way chance. Courtesy of Melbourne Racing Club we have several owners tickets for this race. Please email me at jasonc@kingstarclub.com if you would like tickets and attend. Both have good place chances. 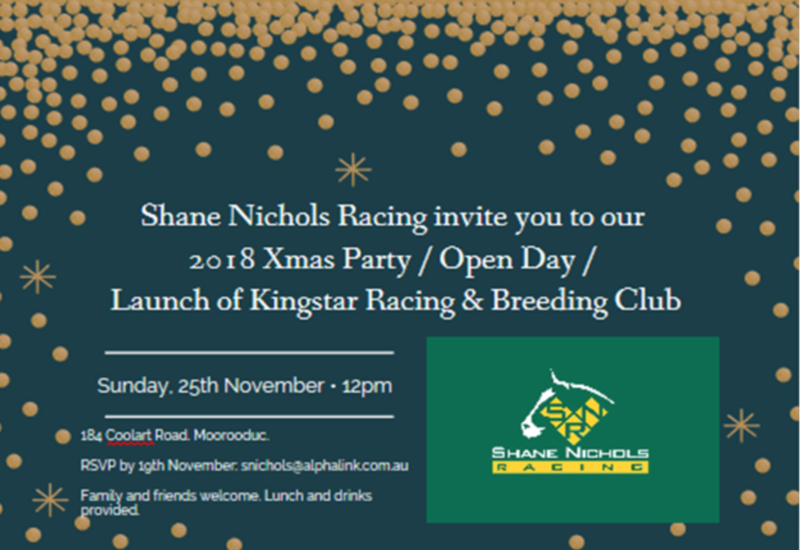 Trainer Shane Nichols will be hosting a stable afternoon on Sunday Nov 25th from midday. Shane train’s two of the Kingstar Club’s two year olds. 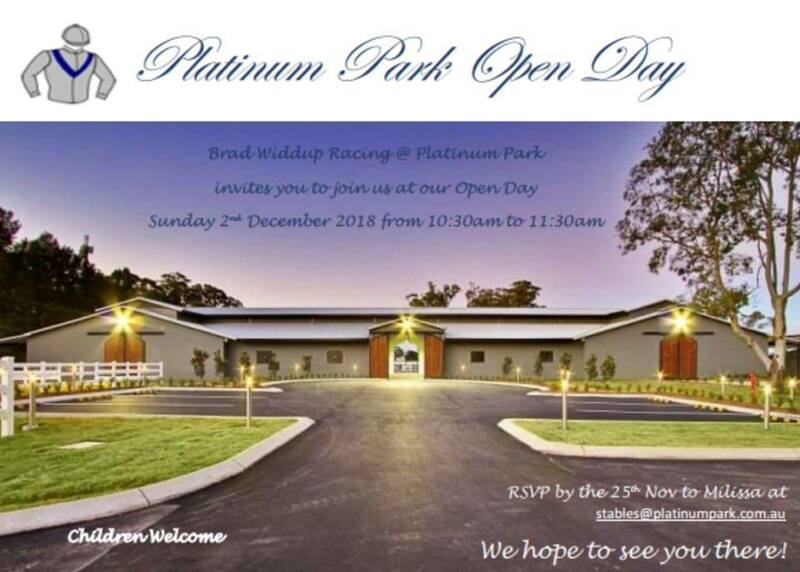 NSW Trainer Brad Widdup is hosting an open day at his Hawkesbury stables. Brad trains the Club’s horse Royal Banquet – who we hope to see run in the Magic Millions in January. Two great Members events coming up, one in a private suite at Randwick and one in the brand new members grandstand at Flemington. Get in quick as tickets are limited! First in best-dressed – Fully catered FREE event, paid members will be given preference if oversubscribed. The new grandstand is now complete & for those that have experienced it – it’s certainly world-class. The event is a paid event – unless you are a paid-up gold member. For full details and bookings – please contact jasonc@kingstarclub.com.